Last Monday night, my good friend Dino Dalle Carbonare invited me to join him for a photo shoot. Turns out there is a delegation of German motor photojournalists in town, with world renown Japan based motorjournalist Peter Lyon showing them around! 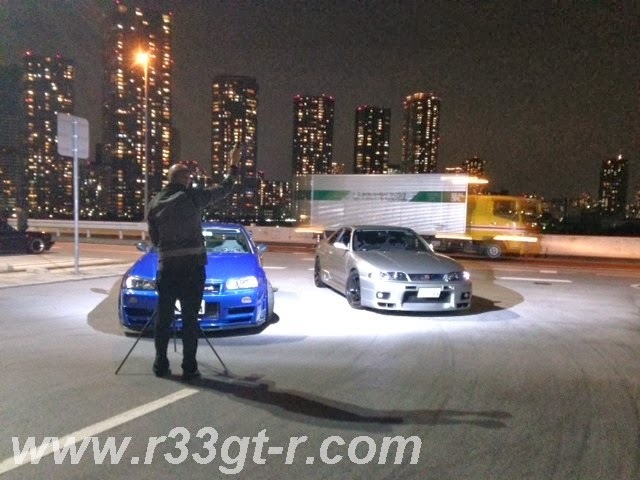 And they wanted to shoot a few nice GT-Rs! Turns out this gentleman shoots often for German magazine Auto Motor und Sport! So it will be interesting to see how these turn out. 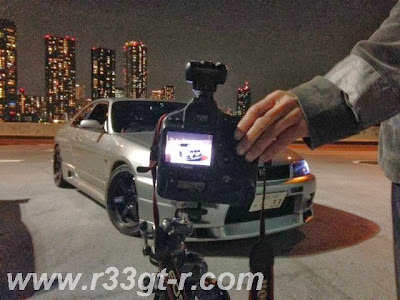 We ALSO drove along the wangan with him hanging out the window of Dino's car and Peter's van taking shots of us "racing" along the Yokohama bay bridge, etc. When I get wind of the final photos, of course will share here! Thanks again Dino for the invite!